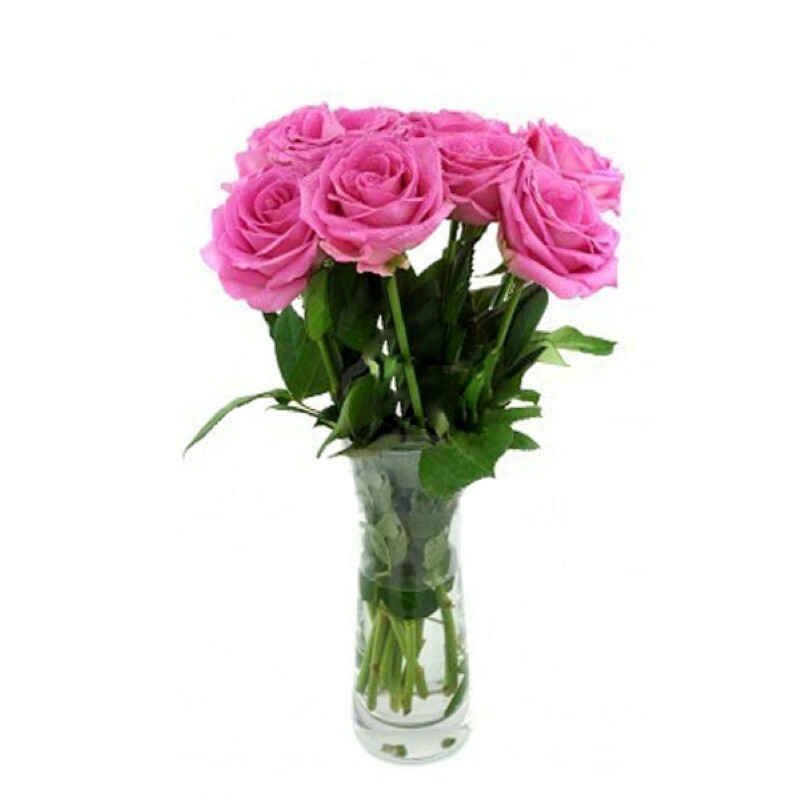 Product Consist : 10 Pink Roses in a Glass vase. We have a perfect gift for you to send love to anyone close to your heart. This is not red roses but a pink rose that is good to create undying memories of any girl because pink is favorite among the girls . 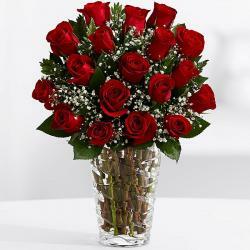 Get the beautifully arranged glass vase easily delivered to the doorsteps of your love one with just one click. 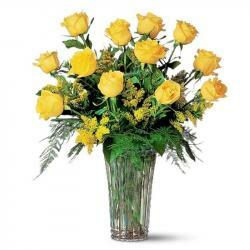 He or she will be completely amazed to receive such a lovely gesture. 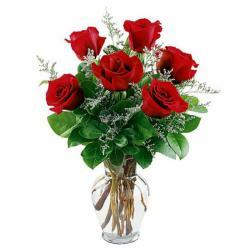 It is best to be gifted on occasion like Valentines Day, Anniversary, etc. So make the most of it and place the order before any delay. 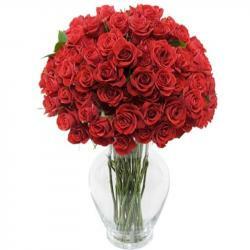 Product Includes: 10 Pink Roses in a Glass vase.